Turmeric is a traditional medicine which can help a large number of conditions and is true core essential nutrient. Each tablet contains 200mg of turmeric root extract, equivalent to a full 10,000mg of turmeric spice (or two heaped teaspoons). It is standardised to provide 95% curcuminoids, which is the level generally used in studies. 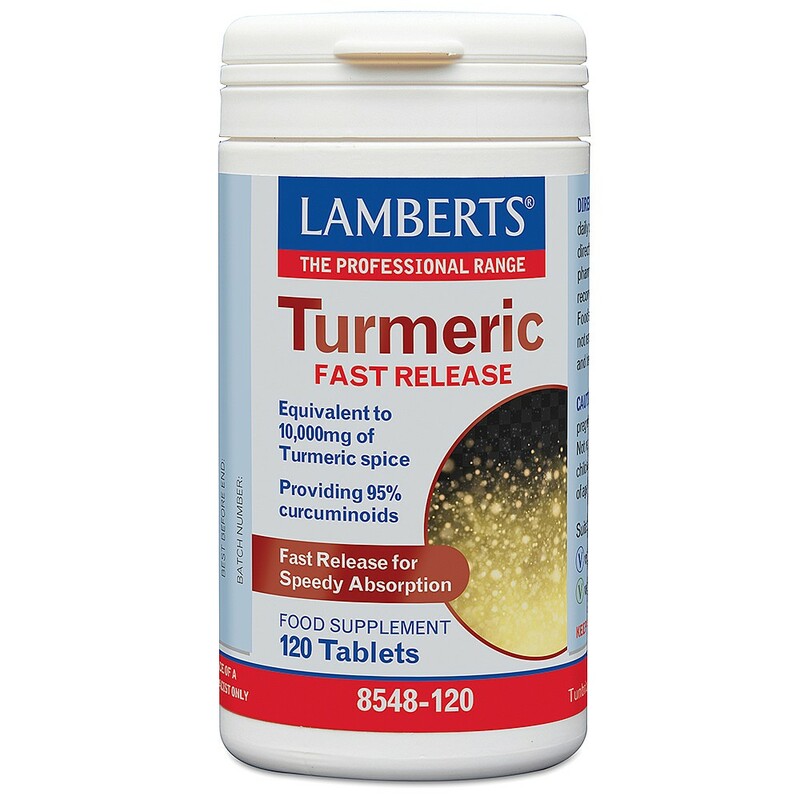 Furthermore, our Turmeric tablets are fast release, disintegrating between 15 and 30 minutes for speedy absorption. Plus, these one-a-day tablets are suitable for both vegetarians and vegans. An oval clear coated yellow tablet with speckles, colour variation may occur. Providing 95% curcuminoids, equivalent to 10,000mg of turmeric spice. Calcium Carbonate, Cellulose, Anti-caking Agents (Silicon Dioxide & Magnesium Stearate), Tablet Coating (Hydroxypropyl Methylcellulose, Glycerine), Crosslinked Cellulose Gum, Stearic Acid. Not recommended for children under 18 years of age. For short term use only. To be stored in a cool, dry place and protected from sunlight.